This tiny one ounce bottle packs a whollup of olive leaf power! Each dropper full of our extracted olive leaf (olea europaea) dietary supplement is supercharged with antioxidants & free radical scavengers to maintain good health. Can be used in tea, juice, water, straight, in baking, smoothies, add to scalp/skin care products. Note: extract contains alcohol and should not be used by pregnant or nursing mothers unless under the supervision of a qualified healthcare professional. Enjoy olive leaf extract for its health, energy and cardiovascular properties. Employ the olive Tree of Health as a scientifically proven immune system booster. Olivus is a powerful antioxidant and free-radical scavenger. 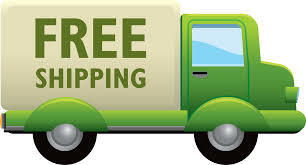 First time I have used your products and I am impressed with the quality of product snd service. I will definitely reorder. About i week ago i received my order of Olive Leaf Extract. For the past 5 years of so I have been going to a dermatologist for a skin problem on my forehead. He determined that it was a fungal infection. Symptoms are 'dry' flaking skin eruptions'. Despite several prescriptions it has never improved or abated. Right after showering my skin dried and began to flake. Since using Olive Leaf Extract about 4 days, morning and night, I have noted gradual improvement. My skin remains moist and the eruptions and flaking are stopping. My skin feels much smoother now. I am very please with this product and would recommended it to others. This is an honest true review. I have been taking the Olive Leaf Extract for the better part of 6 yrs. This is one supplement that is constantly in my house. It has helped me tremendous with my Lyme Disease I have had for 9 yrs. A fellow Lyme patient passed to product in to me and I have been taking it ever since. Will not go a day without it. I use this in the green tea i make. Adds a little extra protection. Excellent! I found myself drinking more of it in tea. A: We do not advertise our products as a cure or treatment for any health condition. Please consult a natural practitioner for treatment advice. We can recommend one if you can't locate one in your area. A: This product is a liquid and not measured in milligrams. Two droppers full should give you an approximate does to 750 mg of a powder olive leaf extract. A: As with any health supplement it "lasts" as long as it is in your system which can be several hours to several days with diminishing effectiveness as time goes on. This is why it is important to take it regularly/daily. A: This is an internally taken product. It can be applied on the body as well however we are not allowed to give treatment or medical advice or advertise our products as a treatment or cure for any health condition. 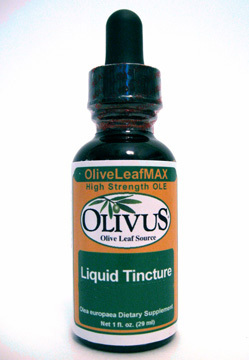 Q: Is olive leaf tincture the dame as extract? How is this product taken? I am looking fir a natural way to lower blood pressure. Is this product sold at Whole foods, or only on line? A: No tincture is in an alcohol base and the liquid extract is in a glycerin base. Our extract uses fresh leaf instead of dried leaf. Olive leaf extract has hypotensive (blood pressure lowering) effects. We only sell online at this time. Q: How many mgs of Oleuropien per dose? A: The amount varies from batch to batch. We do not advertise the amount for this reason. This is a whole herb liquid extract not standardized for any one component of the leaf. Was this answer helpful? 2 of 8 Customer(s) found this Answer helpful.